They'll send greetings for other things too. And I think it's v. weird that there's no online form option. Because who uses a fax machine these days? Thank you for this blog! 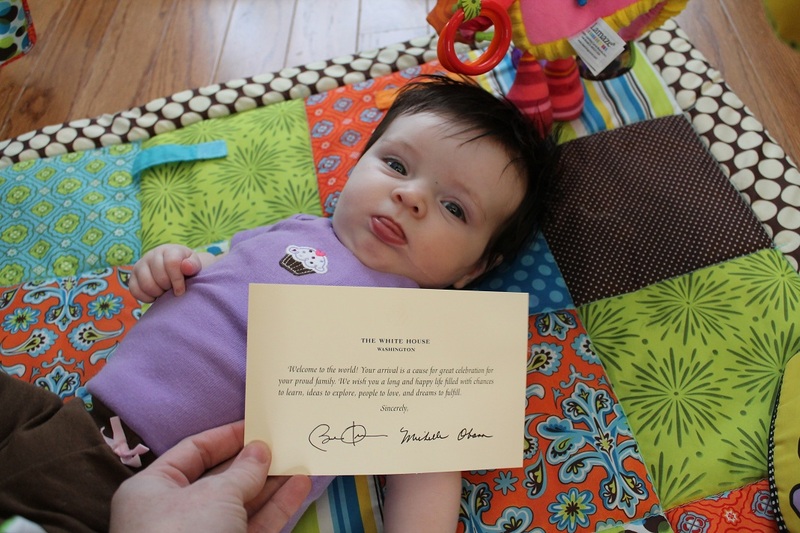 Not only did I enjoy the adorable picture of Jane, but the blog reminded me to send my request to the White House for David's welcome letter. I was stumped on whether I should snail mail it or fax it - but who has a fax machine?? I googled ways to send a fax online and it turns out that you can send free fax messages at GotFreeFax.com. The website even sends you an email to confirm that your fax was received. I just used this service to fax my letter to the White House. Pretty handy. But really - the White House needs an easy website for this service and do away with the faxing. I am lucky I am old enough to remember what a fax machine does. I am sure kids today would be stumped!